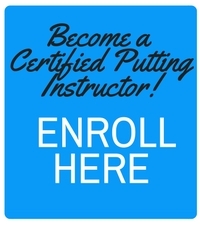 One of the benefits of the Certified Putting Instructor (CPI) Course is the fact that many of the PGA and LPGA professionals that take the course have improved their own putting as a result. PGA of Great Britain and Ireland member Kieron Gaskell has made a career change to enable him to have more time to play golf and has started the 2018 season well, achieving 6 top 10 finishes and winning the PGA North Qualifier for the English PGA Championship to be played at Saunton Golf Club in Devon this month. The Huddersfield based professional has already applied what he has learned to his own putting as well as that of his students, and has seen much success. “I have seen a vast improvement in my putting in holing out those par savers from 6 – 10 feet and the longer putts are now threatening the hole on a more regular basis. “Overall my game has changed for the better, my scores are starting to get more consistent and because my putting is better I feel less pressure on my long game, resulting in me feeling I can compete in every tournament,” said Gaskell. Around the world, CPI’s are experiencing similar results and seeing improvement in their own putting. PGA of South Africa member Derek James of Southbroom Golf Club competed on the Sunshine Tour in South Africa for 14 years, winning 8 times. “I would say that the CPI has allowed me to become a better coach and a better putter myself. I think that is important. If you personally do something better, you will be able to coach better”, said James who was runner up to Ernie Els in the 1992 South African Open. Across the Atlantic, Virginia based LPGA professional Susan Vreeland has not only helped her students, specifically with some upcoming juniors who have had some nice tournament results due to short game and putting improvements, but has also helped her own putting with the CPI fundamentals. Fellow LPGA member, Chicago based Betty Kaufmann echoed Vreeland’s sentiments. “The CPI Course is one of the best courses I have done. It is scientific and gives you a baseline to work from. As you work with a student you can take the most important principles and apply them. “I have seen good results and improvement from my students. I have taught more putting as I think if you want to lower scores you need to sink more 4 foot putts and improve that big circle around cup and your comfort zone for lag putting. Getting comfortable with this helps your chipping and also back to approach shots for your scoring zone. 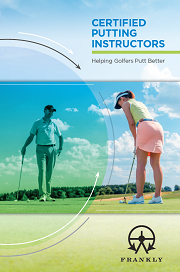 It has also helped my putting tremendously,” said Kaufmann, a former LPGA Tour player. We wish all our CPI’s around the world the very best in their future endeavors both on and off the course!